Ok, you have more than prepared for the cold winter season for your home. However, even if you have thoroughly prepared your home for the cold months, the best planning can sometimes still fail you. It is recommended that you perform a midwinter home checkup to make sure your home remains in good shape for the remaining cold weeks to follow, just as an extra precaution. Walk through each room of your home and study it as it you’re seeing it for the first time. Write down the condition of elements in each room that may need attention, like doors windows, trim and molding. Take note of potential problem areas, maybe areas that have succumbed to normal wear and tear that may overlook everyday. Check all the weather stripping and caulk you set up early in the season. Wear and tear can sometimes catch up to them quickly during cold months. Inspect your HVAC system thoroughly and change the filter if needed. Even when you have just changed it recently, snowy conditions like the recent polar vortex can easily load up your filter with gunk and debris. Examine your doors and windows well and feel for air drafts. Check if your windows open and close smoothly and easily and keep a tight seal on them. 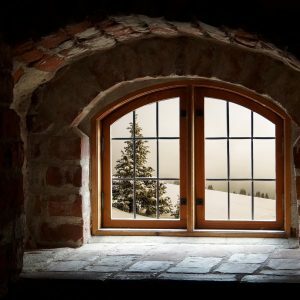 Sometimes excess moisture and cold weather can give older wood windows a severe beating during the winter season. You will spend less money to repair the window if you identify it early. As the snow and ice melts, crawl into your attic if you have one and check for any leaks and damages to your roof or shingles going into your home. Sometimes a few shingles can get damaged, causing water to leak from the melting ice into your attic. If you have had ice damming on your roof or large icicles hanging from your gutters, check your attic insulation. An excessively warm attic can lead to ice dams. Be sure to quickly address any ice dam problems; they can cause severe roof damage and lead to leaks. The winter season sometimes wreak havoc on siding, especially vinyl and aluminum siding. Walk around the exterior of your home to see if any pieces have become loose, pulled away from your home or damaged at all. Loose siding can allow water to enter the space behind it, causing mold and water damage. Take a hard look at your gutter system and verify they are clear of junk and buildup. If needed, clean them out yourself or hire a local gutter company to come clean them out for you. Be sure you check your foundation for cracks, water damages and mold as well. When the temps start warming up, sweep or shovel the remnants of salt or other ice-melting chemicals off your sidewalks and driveway. You don’t want to track that into your home and too much runoff into your lawn can damage your grass come springtime. My journey as a Cleveland home inspector began 15 years ago when I was buying real estate properties in Ohio. Because they were my investments, I wanted to make sure I was getting a great deal, so I decided to learn everything I could about general home inspections.